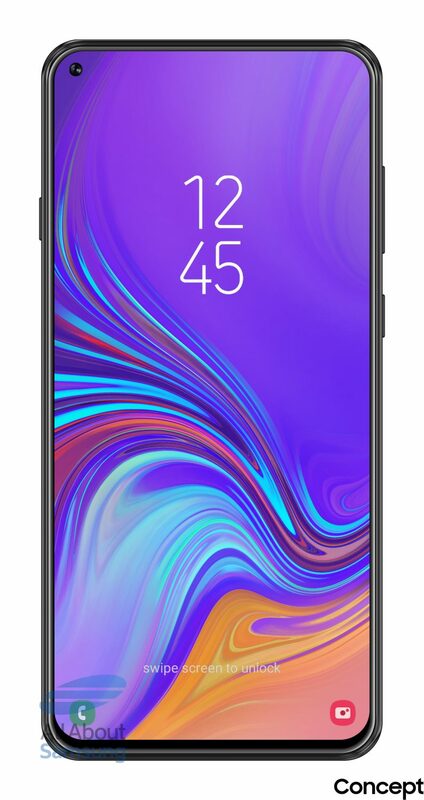 The Samsung Galaxy A8s is launching as the first Samsung phone to feature an Infinity-O display. In case you don’t know, an Infinity-O display means that the phone has a hole in the display for the front-facing camera. We don’t know a lot about this phone, but today, the alleged spec sheet of the device got leaked that revealed some really good mid-range specifications. 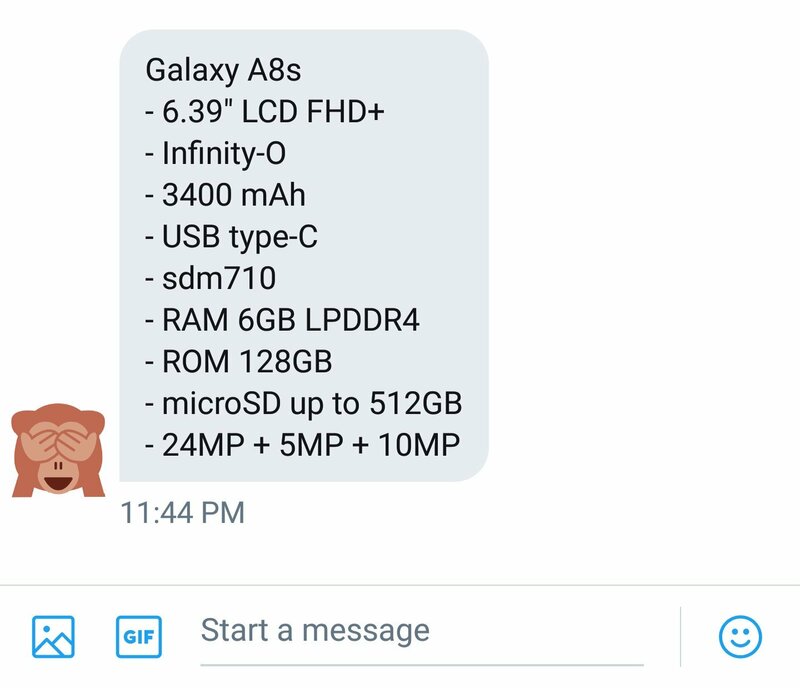 So, the Samsung Galaxy A8s has a 6.39-inch IPS LCD Infinity-O display. According to recent information, the LCD panel on the A8s is made by BOE and not by Samsung itself. BOE is the same manufacturer that makes AMOLED panels for the Huawei Mate 20 Pro. We don’t exactly know why Samsung took this step of not adding an AMOLED panel on the A8s. Maybe, this is related to cost-cutting. Anyways, the Galaxy A8s is powered by the Snapdragon 710 Processor, which is a 10nm processor for mid-range phones. It is the same chipset that powers the recently announced Nokia 7.1 Plus. Right now, this is the best you can get from Qualcomm in the mid-range segment. There is 6GB LPDDR4 RAM and 128GB internal storage. The storage can be expanded up to 512GB via micro SD card. There is a 3,400mAh battery which charges via the USB Type-C port. Finally, there are triple cameras on the back that include 24MP + 5MP + 10MP sensors. We don’t exactly know about each sensor and its specifications. There are chances that this setup is going to remain the same as the Galaxy A7 (2018). So, expect a 24MP wide angle lens, a 5MP depth sensor and a 10MP ultra wide angle lens on the A8s. The launch date of the phone is not yet known so the launch may or may not happen this year. Some sources suggest that the phone will launch in January next year.